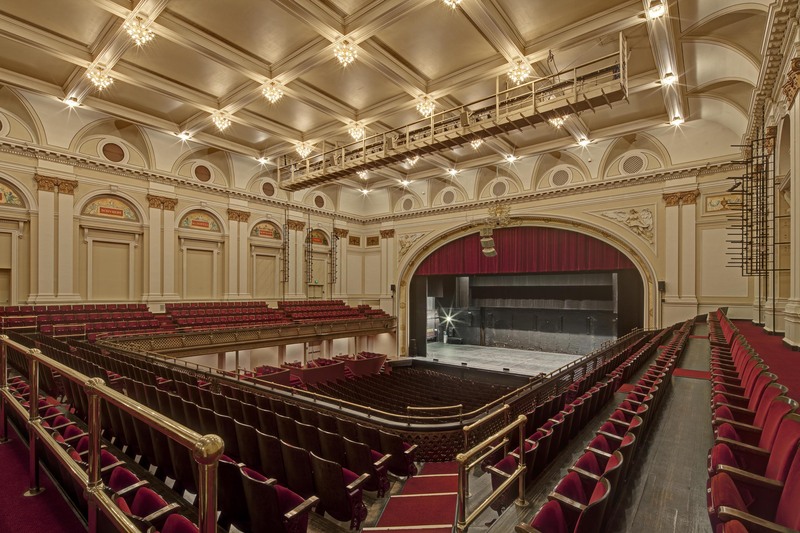 The Lyric Opera House, originally constructed in 1895, is the city’s best venue for Opera and traveling Broadway shows. 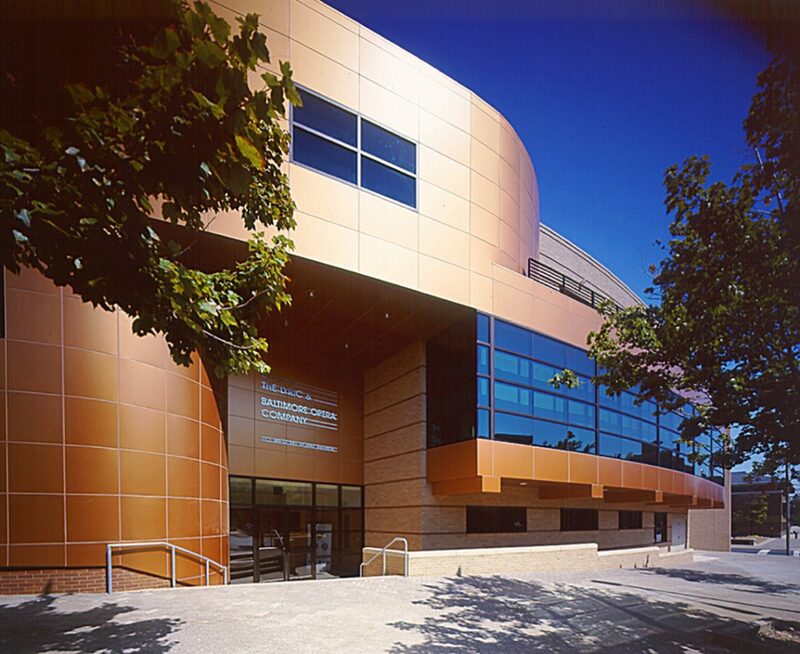 JMT Architecture began with a comprehensive master plan which resulted in four subsequent phases of renovations and expansions. 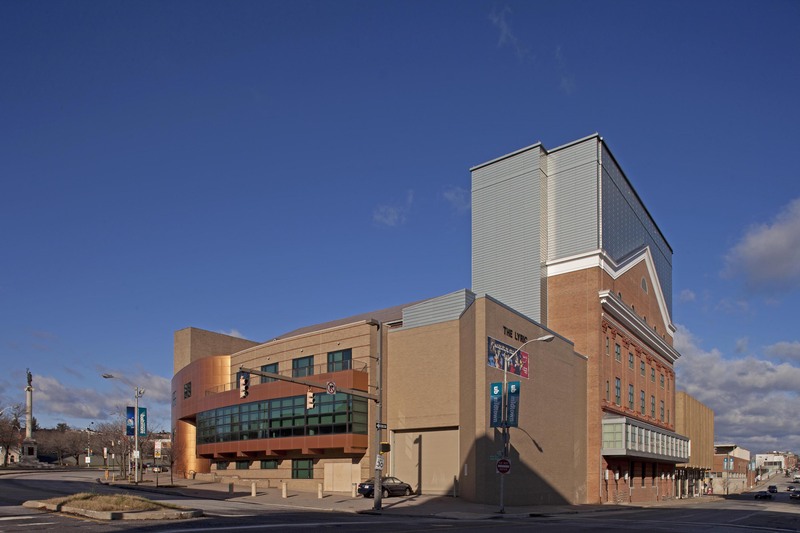 Phase One included renovation and modernization of the 2,600 seat auditorium, listed on the Maryland Historic Trust, and a major lobby addition. 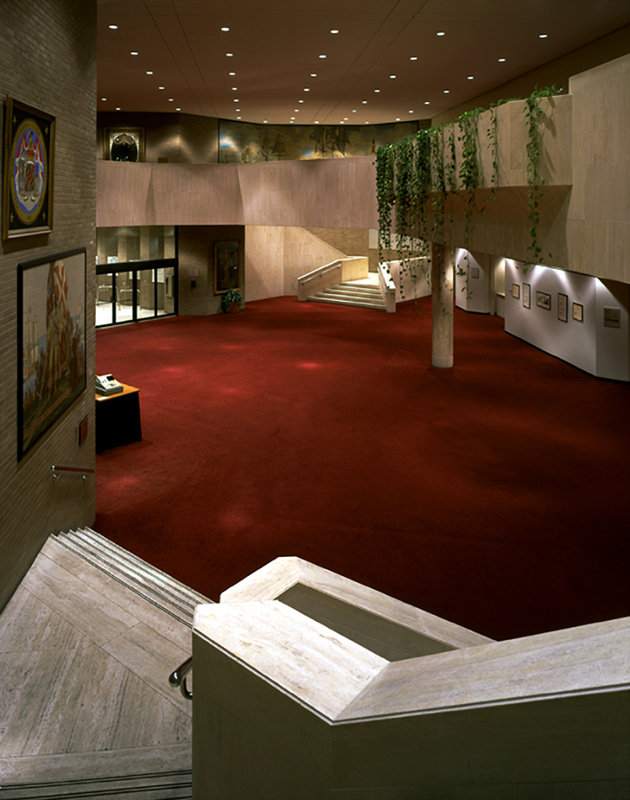 All new MEP systems were carefully integrated into the historic fabric of the building. Phase Two consisted of a new loading dock, freight elevator and mechanical rooms. The design for the 20,000 SF, Phase Three addition, houses back-of-house support spaces, administrative offices, additional wing space for sets, a green room and a rehearsal room. The Phase Three Addition was the recipient of two AIA design awards. 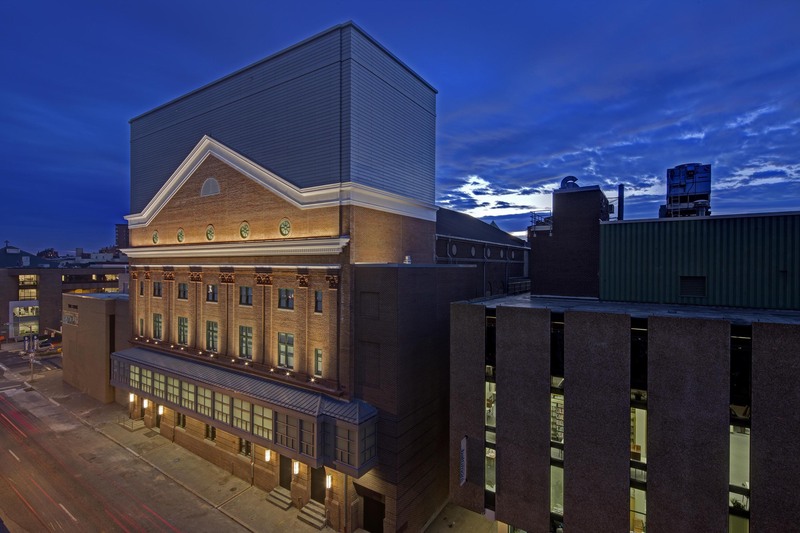 The newest change is a new 95-foot tall stage house designed to accommodate full scale grand opera and today’s Broadway touring productions. The stage was expanded in depth and a new cross-over bridge suspended over the sidewalk to allow for more effective use of the stage. 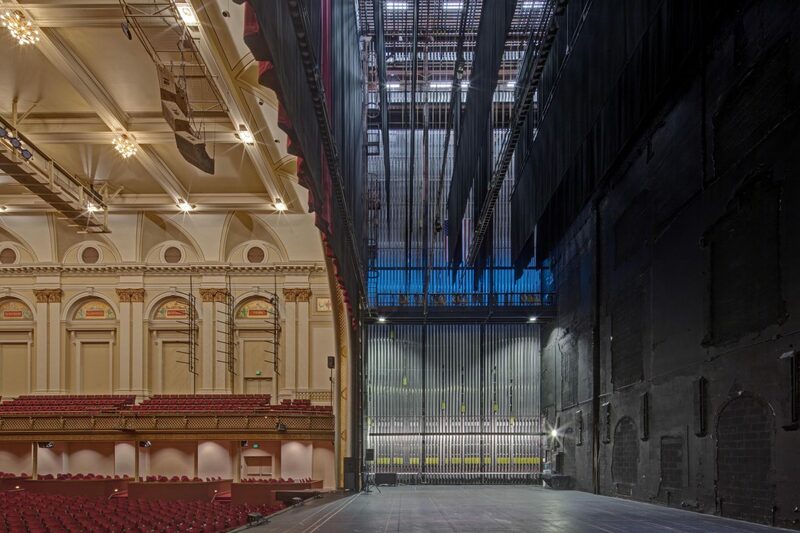 Other features of this project include a new orchestra pit, catwalks, chandelier restoration and a complete repainting of the auditorium interior. This project was also recipient of a Design Award from Baltimore AIA.